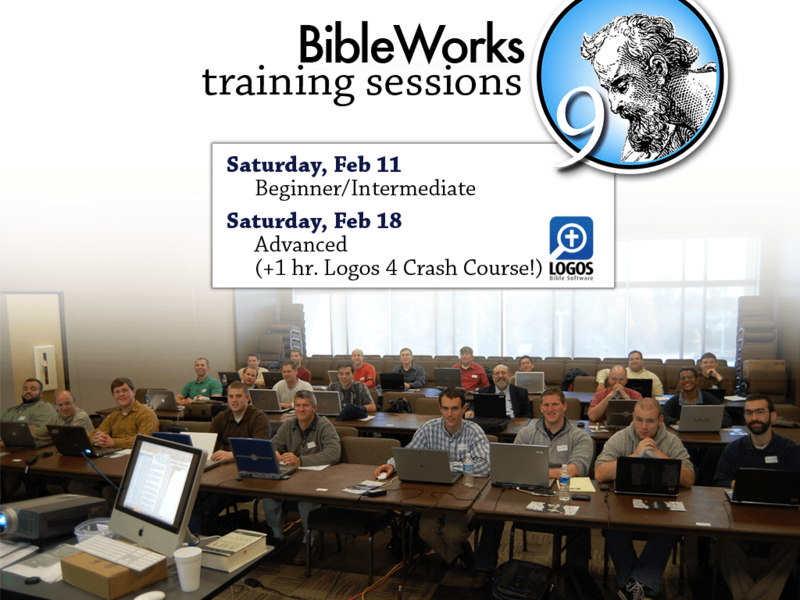 Gain a solid understanding of how to use BibleWorks in real-life exegesis and sermon prep. I assume you know nothing and then give you all the skills you need to use BibleWorks daily. There will be a break in the middle of each session, and I hope to provide generous time for questions and personal attention after each session. We should have space for walk-ins, but click below to reserve a spot. Those who sign up will receive a very small goody hardly worth their effort.